Usher was discovered on Star Search in 1994, and released his first album that same year, when he was only 15. To date, he has sold over 75 million albums worldwide, earned dozens of music awards, and has several platinum and one diamond certified album. 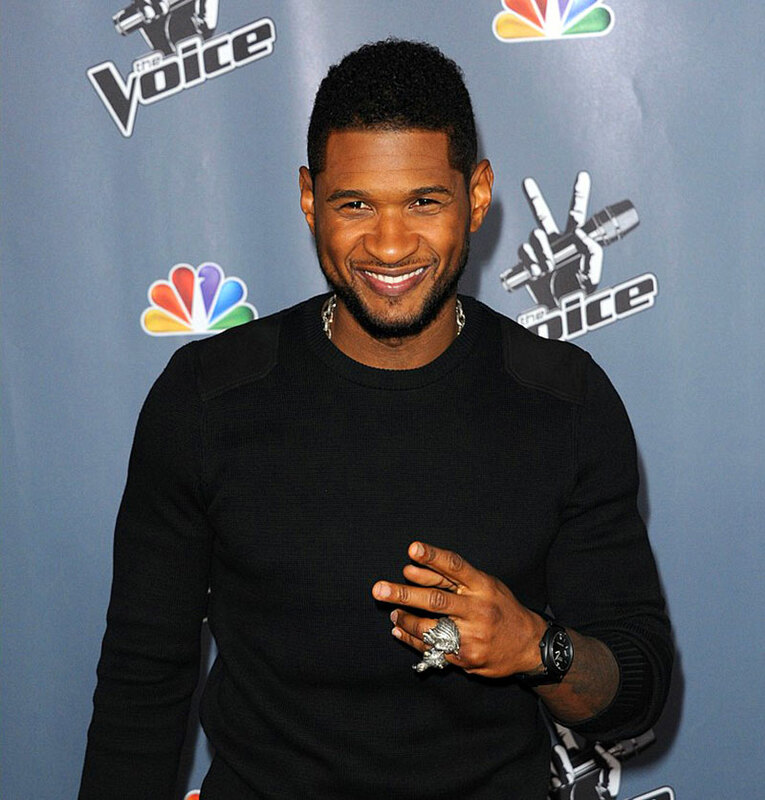 Usher has long been a style icon, and has a passion for collecting luxury watch brands. The first brand he really became interested in was Rolex, because it represents success. But, he obviously considers watches to be more of a fashion accessory than an actual timepiece, since he owns 40 watches and none of them are set to the right time. While many hip hop and R&B artists prefer to “ice out” their watches, Usher prefers a watch with some weight to it. Let’s take a peek into his collection to see what he means. 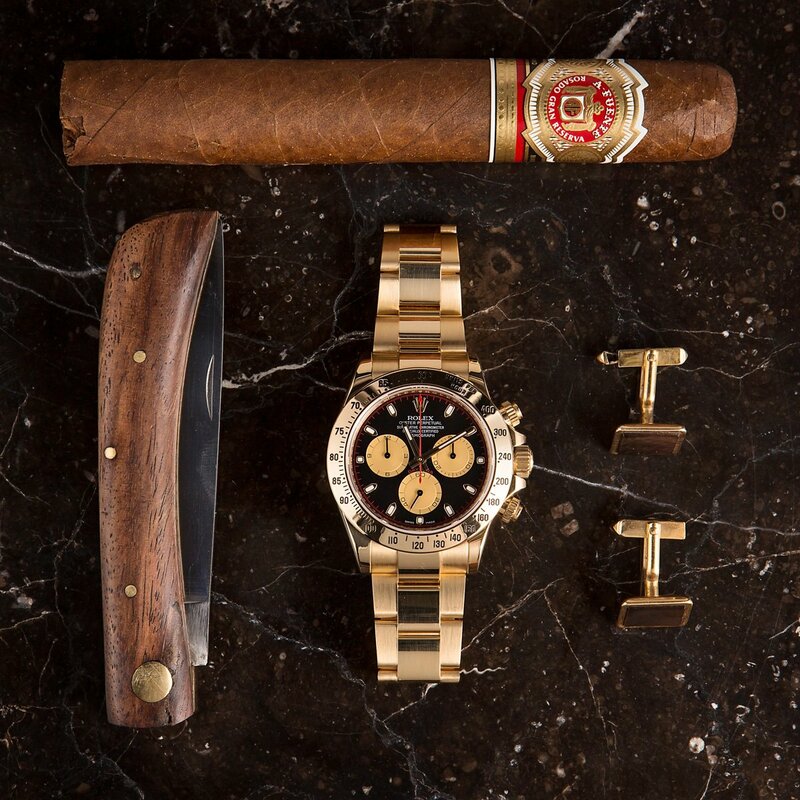 The Rolex Daytona is a hot watch and a keeper. The Rolex Daytona 116528’s all 18-carat yellow gold construction is quite the head turner, from its three-link Oyster bracelet, to 40mm case, and tachymeter bezel. The contrast of the gold subdials really draws the eye in and adds interest to the dial. Another detail that differentiates this version from others of the same model number is the red accents, found on the seconds hand and on the minute track, located on the outer rim of the dial. Usher pulls off this Panerai Radiomir’s 45mm black ceramic case handsomely. A supple leather strap completes the sleek black on black look. This Black Seal PAM00292 has the large, luminescent hour markers that Panerais are known for, which make telling time, day or night, a piece of cake. The simple color scheme and lines makes this a great every day watch. You can see Usher’s Breitling. Usher’s Breitling for Bentley is a great watch to pair with dressier outfits. The 42mm 18-carat rose gold case encircles the white Mark VI dial. Three subtle sub dials are found at the at the center of the dial, and the date window at 6 o’clock. A classy, brown leather strap finishes off this watch, and is nicely offset with white stitching. The 42-hour power reserve and 26 caliber automatic movement ensure the watch keeps the correct time, even though that does not matter much to Usher. 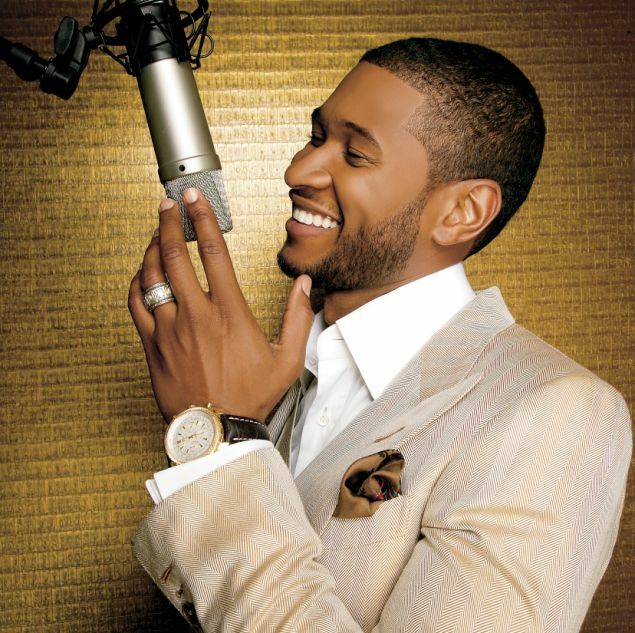 Usher is clearly a watch lover, and he has an amazing assortment of watches to fit any occasion. Which of these three watches would you wear, the Rolex Daytona, Panerai Radiomir, or Breitling for Bentley?